State Representative Nickie J. Antonio (D-Lakewood) is honored to be serving her fourth term in the Ohio House of Representatives. Representing the 13th House District, she was also appointed to serve on the Democratic Caucus leadership team as Minority Whip during the 132nd General Assembly, having previously served as Minority Whip in the 131st General Assembly, and Assistant Minority Whip for part of the 130th. Antonio’s district includes the City of Lakewood and parts of Cleveland’s West Side: The Detroit Shoreway (Gordon Square Arts District), The Stockyards, West Boulevard, Cudell, The Village of Linndale, and a section of Ohio City neighborhoods. Rep. Antonio is known as a civic-minded public servant who is concerned with the quality of life of those around her. Her commitment to social justice advocacy spans multiple decades, extending into public policy after her election to Lakewood City Council in 2005. 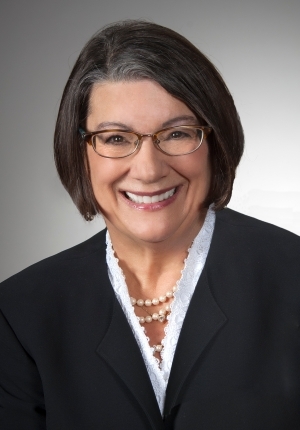 During her tenure on the council, Antonio chaired the Economic Development, Housing, and Human Services committees; served on the Public Works and Finance Committees; and was the council representative for both the Lakewood Hospital Board and Community Relations Board. As councilwoman, Antonio facilitated successful strategies for economic development through proactive policies such as the sidewalk-dining legislation, which reversed a long-lasting city ordinance prohibiting restaurant patrons from being seated by the sidewalk. Antonio also supported environmental legislation that reduced the rate of toxic fuel emissions. During her five-year period on the council, Antonio was a persistent proponent of diversity appreciation and understanding through the Lakewood Community Relations Advisory Commission, of which she is a founder. Antonio is also a member of the Ohio House Democratic Women’s Caucus—previously serving as chair—and is state director for the Women Legislators’ Lobby. The first in her family to graduate from college, Antonio holds a Master of Public Administration Degree from the Maxine Levin College of Urban Affairs at Cleveland State University and a Bachelor of Science Degree in Education, also from CSU. Antonio is an alumnus of the Harvard Kennedy School Senior and Executive Leadership program for State and Local Governments, and also a graduate of Lutheran West High School in Rocky River, Ohio. A former special education teacher and non-profit executive director for a women’s outpatient drug/alcohol treatment program, Antonio worked for nearly twenty years as a consultant for non-profits and governmental agencies in Northeast Ohio, and served as administrator for a multi-county HIV/AIDS regional planning group. While fulfilling these positions, Antonio was also an Adjunct Professor at CSU, teaching courses in Women’s Studies and Public Administration. She continues her civic involvement through her leadership roles in numerous community groups such as the non-profit Cleveland Tenants Organization, of which she is a board member. Because of the nature of her social justice advocacy and activity, Antonio is known as a collaborative community builder and organizer. She is an enthusiastic supporter of the arts and civic engagement as effective tools to develop local and statewide viability and economic success. Antonio is also a certified coach and continually advocates for the benefits to society as a whole when individuals are valued and encouraged to rise to their highest potential and purpose. Daughters Ariel and Stacey, both Lakewood High School graduates, have made Rep. Antonio and wife Jean Kosmac very proud as the girls engage in their post-secondary pursuits.